Fascist Britain First not wanted in Bromley! Britain First, this weekend, joined a fascist split from the EDL, the ‘Stoke Infidels’, as they demonstrated their Islamophobia, in the Potteries. (Earlier in the day, the anti fascist group, NORSCARF, held a successful, Root out all Racism, event. 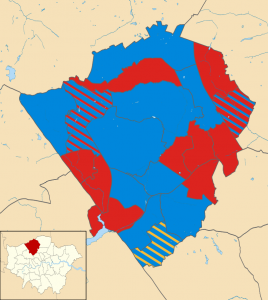 Anti fascists went from that to oppose the fascist, lash up The leader of the local council joined anti fascists, who managed, at short notice to outnumber the extreme right). Britain First have called their hate march in Bromley due to the notorious leaders of this group having to sign on at the local police station, weekly. Golding and Fransen, the two who have to sign on, face charges resulting from their history of Islamophobic and racist provocations. Ludicrously, they claim they are ‘being persecuted’ for a cause; in reality, they are racist bigots. Britain First split from the Nazi BNP. However, their fascist politics are clear. Only recently did they try, but fail to have a noxious, anti Semitic priest speak at one of their hate rallies. Members interchange membership with other fascist groups and their thuggery is known. They are banned from going near mosques due to their threatening behaviour at a number of such places of worship. Bromley people do not wish such fascists to come. We ask that you support UAF’s and others call to come out and oppose such far right thugs. Please invite friends to the event and spread the word. The far right internationally, are growing, and in Britain, they look to emulate the likes of Le Pen and Golden Dawn, for instance. We have thus far knocked back the BNP and EDL to a mere shadow of themselves, but scattered, far right forces are looking to regroup. We must remain on guard! As you will know the TUCJCC encourages all Trades Union Councils to work closely with the People’s Assembly. 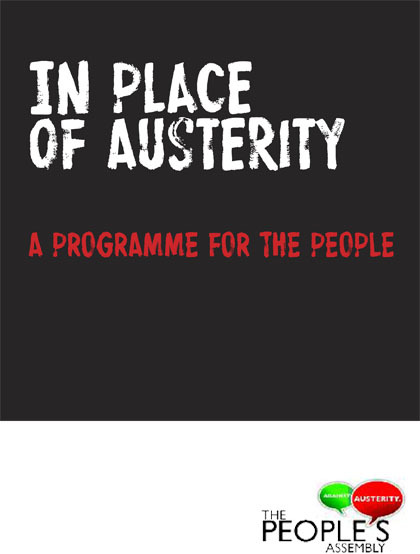 This new People’s Assembly pamphlet is very useful in winning yet more people to an anti-austerity position, and convincing them that there is a real, practical and achievable alternative. 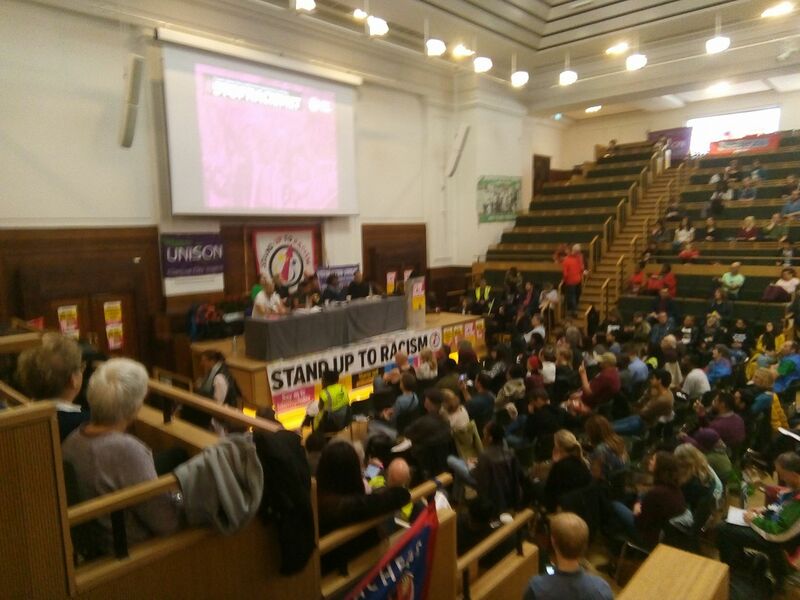 Although I only managed to get to the second half of Saturday’s Stand Up to Racism conference due to attending SERTUC in the morning, I did manage to attend a particularly poignant session in the afternoon that was not only important in itself, but that has been demonstrated as exceptional vital by events today. It was held in the afternoon on the Grenfell Fire and social cleansing, with an extremely strong range of speakers. Activist rapper Lowkey, himself from from Kensington, spoke eloquently on the very long history of working class residents of the area having to campaign for their rights to live there. This, in fact, goes back before it would have been considered part of London, or even particularly urbanised. Lucy Masoud, of the Chelsea Fire Brigades Union spoke next. She described her colleagues’ experiences of facing the terrible blaze itself (easily the worst actual fire most of them had ever seen, even in long careers). She finished with the fire fighters’ resolve to demonstrate through thorough proof that whatever the proximate cause of the initial blaze, the fundamental cause has been austerity. We heard from two young survivors, Tomassina Hessel and Bellal El Guenuni, who talked about how young people had come together in the emergency to try to save lives, something that the media has largely ignored about this very ethnically diverse, solidly working class, community. They also told us that most of the survivors of the tower are still not in permanent homes. The last speaker was Glyn Harris, a campaigning housing worker and author on the subject. He related how racism has always affecting housing policy, with members of ethnic minorities often end up in housing that the least desirable and safe. It is also the least economically secure, as witnessed in the way the sub-prime mortgage scandal that triggered the great economic crash 10 years ago. The speakers all had there own take, but they were all pointing to the intersection between racism and austerity and the way that the basic, and totally avoidable, failure of authorities in their duties toward the public are represented by the Grenfell tragedy. It is fitting, then, they are all proved completely right by the Conservatives being forced to day to confirm that despite promises, they have no intention of providing fire prevention systems for high-density housing that could prevent future Grenfells. Ultimately, people the Tories do not care about live in that kind of housing, and it for reasons like that they we must do everything we can to get them out of office. You can get a more full report on the conference here. 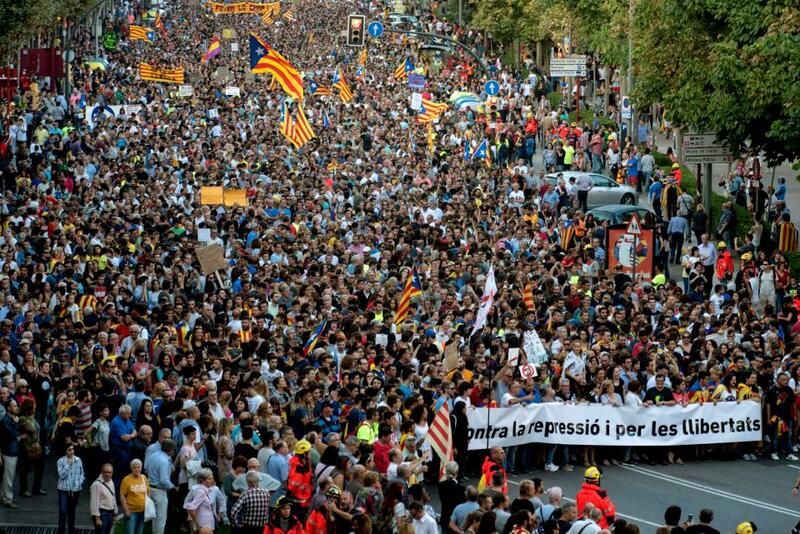 Catalonia: The Streets Will Always be ours! 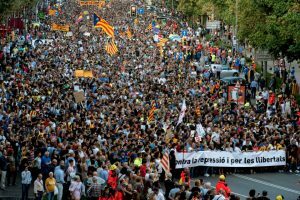 Speakers from CUP and ANC, two organisations at the centre of the independence movement, followed by discussion on delivering practical solidarity to Catalonia. 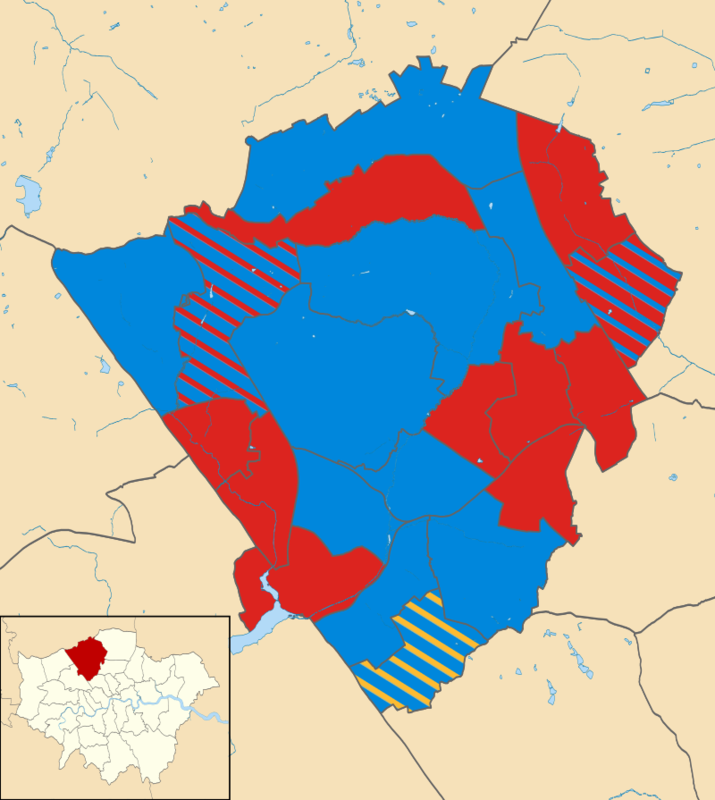 On the 3rd of May 2018, crucial local government elections will be taking place that could finally see the Barnet Conservatives removed from power after fifteen years in which they have been subjected our borough to a decade and a half of extreme anti-public sector and highly experimental policies. Barnet Trades Council wants trades unionists to engage with our Labour group councillors about what are vision will be for a better Barnet, and how we can wrok together to accomplish it. Come to the Greek Cypriot Brotherhood, 2 Britania Road, N12 9RU, at 7pm on Thursday the 2nd of November and take part. After a consultation that showed 500 objections and just 35 returns in support of Ark academy, the Tories have included ARK as a surprise agenda item before the council. Labour councilors have criticised this descision following such a large response to a consultation. Activists are being urged to attended Hendon Town Hall for 7pm on Wednesday the 25th. 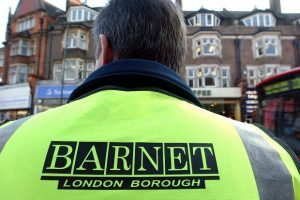 After many years of Barnet being one of the Tories’ most rightwing and rapidly anti-public service council administrations, our borough finally has a chance for change. 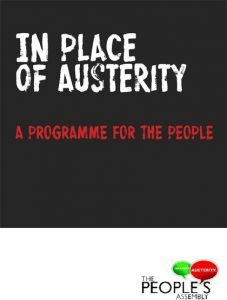 Barnet TUC will be working with our local Labour Party to get a positive message about a more caring, fairer alternative and invites all friends and comrades to join in. We’ll meet at 10.30am at Mill Hill Broadway railway station, on Saturday 11th of November. Trade Union Education courses for reps, shop stewards and safety reps provided by the TUC are acknowledged to be high quality training. 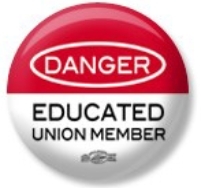 TUC certificates are accredited and free of charge to reps from affiliated unions. All training courses: run from 9:30am until 4:30pm with a break for half term and run for 10 weeks. This course is open to those who have completed the TUC Health and Safety Reps Stage One and Two, or their own union equivalent, and have experience of the Health & Safety rep role. welfare and environmental problems that workers currently face. TUC Level 2 Diploma in Occupational Health and Safety. day-release course (1 day per week, for 36 weeks) spread over 3 terms.